Liverpool fans were euphoric after the 3-1 victory against Manchester United at Anfield in December. The old enemy had been soundly defeated, an unbeaten start to the 2018-19 Premier League season was extended to 17 games, while a certain popular German was sporting his customary beaming grin at the final whistle, fist-pumping the air in delight. “It’s one of the best performances we’ve had, since I’m in Liverpool,” claimed an overjoyed Jurgen Klopp after the game, enthusing about his side being “just perfect” in every respect. The statistics backed up his pleasure, given the Reds had dominated the encounter from start to finish, with almost 65% possession and 36 shots to the paltry 6 that United had managed. It was a game that marked the huge difference between Liverpool, who were perched at the top of the Premier League, and a Man United side struggling to even remain within touching distance of the top six. Notably, it was also the final nail in the coffin of Jose Mourinho’s tenure with the Red Devils, because, within 48 hours, the Portuguese coach was sacked. Having saved the Red Devils on so many occasions with his late goals, leaving the substitutes bench to heroic effect as a player, Ole Gunnar Solskjaer was appointed as caretaker manager, and given the task of doing the same in a coaching capacity. The fans couldn’t have asked for a better Christmas present and since then, the change in fortunes has been spectacular. The cavalier swagger and style that was the hallmark of United under Alex Ferguson has returned, accompanied by positive results. 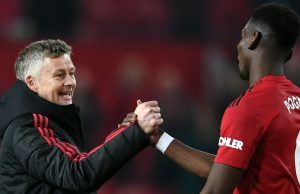 The Norwegian has brought belief back to Old Trafford and as such, the Man United vs Liverpool Betfair prediction ahead of the next encounter at the end of February, is one of an entirely different perspective, just two months since the last duel of English football’s most famous rivals. In a complete sea-change of form, Solskjaer guided Man United to six straight Premier League wins, before Burnley frustrated them at Old Trafford. However, even that game carried the classic Red Devils hallmark, as the team fought back to a 2-2 draw, having fallen two goals behind. They were unlucky not to take all three points in the end. The sense of tradition, never say die spirit and passion, now seems firmly restored amongst players and fans alike. Sunday 24th February is undoubtedly a red-letter day all Manchester United fans will have marked in their calendar, one filled with greater enthusiasm and optimism compared to the last encounter with Liverpool at Anfield. Finishing amongst the top four is now a realistic proposition, which it wasn’t just a couple of months ago, whilst there’s also the chance to seriously put a dent in the title ambitions of Klopp’s side. A victory for Man United against Liverpool, if Solskjaer can engineer it, would be the icing on the cake of a phenomenal revival of the team under his guidance. It might also be a decisive factor towards the Norwegian securing the managerial post at Old Trafford on a permanent basis. He already has the overwhelming support of fans, and getting one over the eternal arch-rivals from Merseyside could finally tip the scales in his favour.